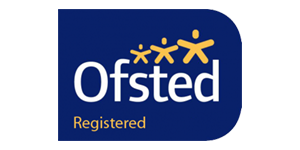 Get your child prepared for all aspects of the Kent & Mayfield Grammar 11 Plus tests using tried and tested methods of teaching delivered by Ofsted Registered specialists. Over the years Paro Tuition have developed a system of teaching for students in Year 5 which is suitable for those sitting GL Assessment or CEM based tests. We have specialist knowledge of the tests in the Kent area and cover everything required including Verbal Reasoning, Non Verbal Reasoning and exam practice in the most efficient way possible. "Fazal is very good at nurturing and developing the children's academic skills. He readily listened to concerns , polite and friendly. My daughter passed her 11 Plus..."
"6 years ago, Fazal prepared my daughter for her 11+ exam and also my son 2years ago. There was a great improvement in both of them..."
We’ve taught hundreds of students over the years so we know what to prioritise to give your child the greatest chance of success. We believe that having in-depth subject knowledge and experience is infinitely better than being a ‘jack of all trades.’ As a result, you can be sure our tutors understand the requirements of Kent 11 Plus from back to front. Our specialist knowledge of Kent means we have a deep understanding of the requirements of the test as well as possessing a lot of information about schools in the areas. Our teaching often leads to a greater love for learning in general. Along with our homework, we find it’s often beneficial for students to do a little more at home, so we’re happy to provide recommended books that are tailored to each student. We often order these for parents as we get discounts. Preparation for the 11 Plus is about more than just doing a few test papers and some maths problems. It takes speed, accuracy and a great deal of logical thinking to be successful. Knowing this and combining it with over 5 years of teaching, trialling and refining has allowed us to develop our own structured teaching system for the 11 Plus. Simply put, we remove the guesswork and teach each element of the test in a carefully thought out manner. Our experiences have also shown us which aspects of the test students find most difficult and which require more time to teach. This knowledge allows us to teach in an efficient manner, saving both teaching time and money yet still achieving great results. With all of this in mind, we’ve learnt that it’s typically best to start off the year with Verbal Reasoning, Non Verbal Reasoning and Spatial Reasoning work, covering the different question types that could appear on the tests. These are new concepts for children (and parents alike) but we’ve found our teaching to be very successful in improving students in these areas in the past. We’ll also be covering maths problem-solving throughout the year but will focus more on this when we feel it’s appropriate for the students. At this stage we’ll make sure to go over the areas of the maths curriculum that we know students find hardest too. English is mostly covered in the form of comprehension as this is the main skill required for the Kent 11 Plus test. As well as, this we’ll spend time throughout the year covering vocabulary. Overall our teaching programme ensures that students cover everything they need to know for the test and get plenty of exam practise along the way too. Like all of our staff, our 11 Plus teachers have plenty of experience in preparing students in the past. Some have even sat the 11 Plus and attended grammar schools. Collectively we all have a deep understanding of the purpose and workings of the 11 Plus tests. Highly structured and efficient teaching that covers all of the skills necessary for the Kent 11 Plus tests. Our years of experience in teaching the 11 Plus have allowed us to develop a unique system of teaching which produces great results within the limited teaching time that is available. At Paro Tuition we know what to teach, what order to teach it in and the best resources to use while teaching. This also means that your child could get away with having less weekly tuition time if taught by us. We make sure to cover all of the skills needed for the Kent and Mayfield tests such as Non Verbal Reasoning, Verbal Reasoning, Maths Reasoning & Problem Solving, Comprehension and Spatial Reasoning. Ensure complete preparation through exam practice and technique development. Throughout the year we cover exam-style questions and exam technique to ensure that students won’t come across too many surprises. This includes doing practice tests. As we get closer to the test date, the number of practice exams we do increases with a particular focus on timing and speed during the test. In the final weeks we’ll take this one step further and put the students through a mock test so that they can experience a test environment. The first step is simply to pop in or to contact us to discuss your needs. At this point we’ll book you in for a more formal consultation in which you get to a chance to understand more about the way we work and what we can do for you. It’s a great opportunity to ask us about any further questions that you might have. 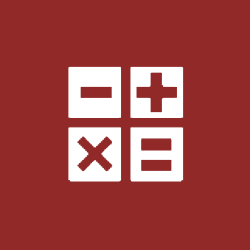 We’ll assess the strengths and weaknesses (if any) of your child in Maths and English compared to what’s required by the national curriculum for students of their age group. This helps to decide the best way forward for your child. We’ll give you the opportunity to have a formal sit down at various points throughout the year so that you can get a clear idea on how well your child is understanding the 11 Plus content and progressing overall. This is a great opportunity to discuss if anything more needs to be done to increase their chances of passing and to discuss future expectations. We've done our utmost to make 11 Plus preparation more affordable for everyone. We believe that grammar schools should be accessible for everyone. This is why we’ve found a way to make our services very competitively priced. The cost of 11 Plus tuition with us starts from just £15 for an hour long session every week. With this, students gets the benefit of being taught by an experienced, knowledgable tutor who will observe their progress. We also provide any stationary and writing books that are needed. What are students tested on in the 11 Plus? 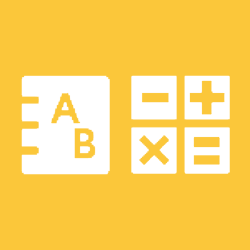 The Kent 11 Plus test currently has 3 main areas of testing: Maths, English and Reasoning. The Maths section mostly consists of word problems whilst the English is mostly comprehension questions. The Reasoning paper is further broken down into sub categories designed to test different skills. In the Kent test you’re required to pass all 3 main areas of testing. Students sitting the Medway test have a different test format entirely. They’ll be sitting a Maths paper, a verbal reasoning paper and a writing test. The marks from all 3 papers are added together with the majority of the marks being awarded for Maths and writing. Do students get to do practice tests during tuition? We do practice test style questions and practice papers regularly through out the year. We increase the amount of practice papers we do as we get nearer to the test and progressively increase the difficulty too. When is the best time to start tuition for the 11 Plus? This depends on the capability and current working level of your child which is why we start each child off with a free assessment. What we have seen though is that unless students are performing at a very high level in school, they’re almost always better off starting before Year 5. We have many children who start tuition well before Year 5 (some start in Year 1) but for those year groups it’s not just 11 Plus work we cover. We largely teach Maths & English, aligned to the national curriculum, for children in other year groups. My child is already well into Year 5, is it too late to start now? It might be difficult for your child to pass now but it’s certainly not impossible. We have had a number of students start tuition quite late into Year 5 in the past who went on to pass. Our advice would be to book in for a free assessment and speak to one of our teachers for advice. Most students will typically have 1-2 hours per week. The number of hours we recommend will depend on a variety of factors such as student ability, their current working level and a variety of other factors. Our recommendation will usually be made after we’ve carried out our initial assessment and had a thorough discussion. Can every child pass the 11 Plus? Unfortunately, there will be some children who really struggle with learning the concepts, skills and level of problem-solving required for the 11 Plus meaning that they would be highly unlikely to pass. If we believe any of our students are within this category we’ll inform the parents at the appropriate time and advise on the best course of action. The 11 Plus is a once in a lifetime opportunity for students to be in a school environment more suited to them. We understand it’s not right for everyone, which is why we start with a free assessment and trial session before making any recommendations. A deeper understanding of the techniques and topics needed to pass the Kent 11 Plus for both the students and parents. The demand for grammar schools is at the highest it’s ever been whilst the 11 Plus tests have continued to increase in difficulty and schools have been unable to provide much support to students wishing to sit the tests. On top of this test makers are frequently making changes to tests leaving most people with little knowledge of what the tests contain. This why we believe tuition is needed and that the most successful tutors are the ones that have a high level of knowledge of the 11 Plus and plenty of experience teaching it. That’s what we do every day. We’re ready to prepare your child as thoroughly as possible for the rigours of the Kent test using the same principles that we’ve developed over the years working with hundreds of students. Of course we understand if you’re not ready to make a start just yet, but it costs nothing to come in and have a chat with us. We’d be more than happy to help. 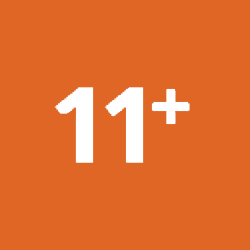 We're glad that you're interested in finding out more about our 11 Plus teaching. Contacting us is simple. Just click in the box below to chat to one of our staff members who will be happy answer any questions you have. Start your 11 Plus tuition free assessment and trial. We're glad that you're interested in meeting one of our 11 Plus experts. Contacting us is simple. Just click in the box below to chat to one of our staff members who will be happy to book you in.